Growing up with two doctor parents and two jock brothers under the woodland trees of Northern California, I never quite understood where my creative blood came from. Five years ago, in the Fall of 2007, I used up all my savings to backpack across Central and Eastern Europe in search of artifacts and stories that would illuminate my creative lineage. My travels took me from Munich to Salzburg to Prague to Vienna to Budapest to Berlin to Amsterdam. My mother’s father, Louis Levine, was a Lieutenant Officer in the military police, stationed in Italy in WWII. His brother-in-law Obbie traveled desperately from the shores of Normandy to the city of Naples, not to discover that his sister’s husband was expected dead, but that Louis had instead become the “King of Naples”, tasked with running the city during wartime. Louis soon returned to New York City. By day, he was the lone Jewish officer in Precinct 13, NYPD. By night, he was singing “Carousel” to put my young mother and uncle to sleep in Queens. As a child, my mother would fill her journals with poetry. 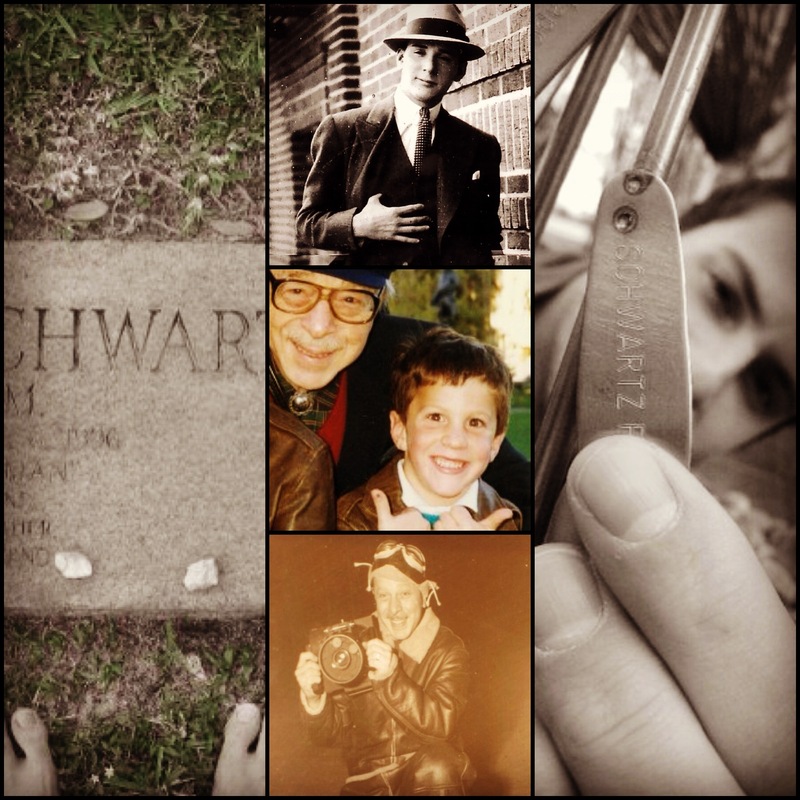 My father’s father, Robert Schwartz, was an army photographer, the son of a long line of visual artists and craft makers. His father, Leo Schwartz, went to art school in Berlin, where he painted murals in Kaiser’s Palace. During WWII, Robert was not sent overseas, on account of a medical limitation: “flat feet”. We would later find out that the medical doctor who examined him, Dr. Nenner, was a cousin of his young girlfriend, Janet. The doctor purposefully failed my grandfather’s medical test so that he could marry and start a family with her. After being stationed in Colorado for a few years time as a medical photographer, Robert and Janet moved to Brooklyn, NY, where they had two sons and opened Vega Photography. Robert would photograph portraits, and Janet would oil paint over them. As a child, my father played the piano and participated in school choir. So in true journeyman fashion, you travel the world in search of what you need and return home to find it. Defying the labels I had previously assigned to them, I realized that it was indeed my mother who taught me how to write, and who introduced me to renaissance models like Newman, Beatty, and Redford. It was my father who first played for me Davis and Coltrane, who took me up mountain tops in Guatemala and Costa Rica, and around river bends in Oregon and Colorado. And it was those two very jock brothers who learned guitar when I did not, who taught me to enjoy low brow comedy when I was buried in Beckett, and who made me see great storytelling not just on the stage and screen, but in sports and politics, in business and in law. We are all many things. And we are all the sum total of our ancestors. Louis Levine and Robert Schwartz were veterans. But they were also my grandfathers, descendants and ascendants of great creative blood. Today, like every day of my family’s daily creative practice, we honor them. Left – Robert Schwartz’s Gravestone, West Palm Beach. Top – Louis Levine, NYC. Middle – Robert Schwartz and Me, San Francisco. Bottom – Robert Schwartz, NYC. Right – Me, Budapest.